MIAMI, June 23, 2017 — Pets make our lives happier and healthier, and their presence alone is proven to make communities safer. They play an ever increasingly important role in our lives, now in more than 84 million households. Yet despite the value that pets add to our lives, they aren’t always welcome in public places, with a plethora of barriers still facing areas that look to be pet-friendly. The U.S. Conference of Mayors and Mars Petcare are teaming up to address this issue and find out how cities across the country can create more pet-friendly communities as part of a new Mars Petcare initiative, BETTER CITIES FOR PETS™. In conjunction with its recently launched BETTER CITIES FOR PETS™ program, Mars Petcare surveyed mayors to gauge the state of pet-friendliness in cities across the country, specifically seeking to understand current perceptions, trends, amenities and existing resources for managing animal welfare and quality of life for people with pets. The power of pets is no secret – 100 percent of mayors surveyed agree pets can have a positive impact on people’s mental and physical health, and 82 percent of mayors agree that providing pet friendly amenities can have an overall positive economic impact on their community. But the need for support still exists, with 66 percent of mayors that do not have, or aren’t aware of, pet-friendly policies for public spaces such as restaurants and stores. Further, nearly a third of mayors reported that their cities do not have adequate access to pet friendly greenways or trails, and 35 percent ranked facility upgrades as the greatest need to help homeless pet shelters in the city. The impact of pets on homes shone through, with 74 percent of mayors agreeing that offering pet friendly amenities will help residential rental communities improve tenant stability, and 81 percent agreeing that the availability of pet friendly amenities can help increase the value of residential property. City size affected pet-friendliness. Generally, the larger the city size, the greater its perceived pet-friendliness. Larger cities also reported more pet amenities, and provided more financial assistance to pet owners than smaller cities. But, larger cities also reported the greatest need for outdoor pet-friendly amenities. Responsible education rose to the top, with 69 percent of mayors agreeing that implementing a responsible pet ownership educational campaign would help make their city more pet-friendly. Following the survey results from mayors nationwide, Mars Petcare created a full report (PDF) that takes a close look at mayors’ responses regarding their needs for support across the program’s core areas of focus: supporting shelters, parks, homes and businesses. The company has also created a “how-to” guide (PDF) for cities that are interested in creating and implementing more pet-friendly policies, both of which are available for download at the program website, www.bettercitiesforpets.com. Mars Petcare and USCM have been working together for the past year in support of the BETTER CITIES FOR PETS™ program to gain a better understanding of the barrier cities face in designing pet-friendly communities. 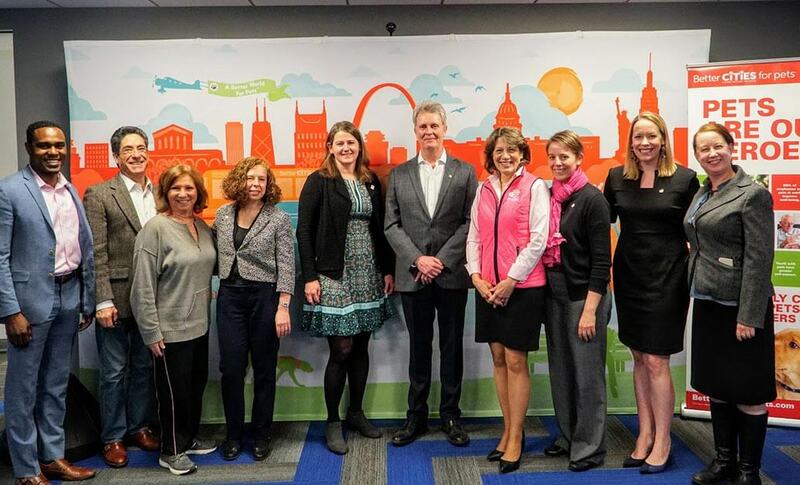 The partnership with USCM and input from mayors is intended to help Mars Petcare better understand the state of pet-friendliness across the nation, and will inform how the model debuted in Franklin can be shifted and applied to other cities. 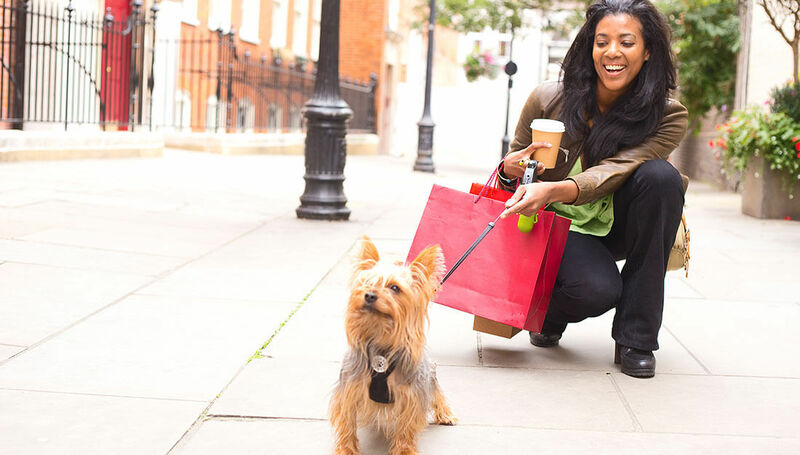 Ultimately, the findings will contribute to Mars Petcare’s long-term vision to roll out pet-friendly models to more communities around the country. Mars Petcare is the world’s leading pet nutrition and health care business. A BETTER WORLD FOR PETS® is the vision statement held by Mars Petcare as we believe that pets make our lives better and that pet ownership brings joy and benefits which should be accessible to everyone. In the United States, Mars Petcare food brands include PEDIGREE®, IAMS®, ROYAL CANIN®, GREENIES®, CESAR®, NUTRO® and SHEBA®. Veterinary practices include BANFIELD® and BLUE PEARL®. Specialty brands include WISDOM PANEL® Canine DNA Tests and WHISTLE® GPS Pet Tracker. The company’s WALTHAM™ Centre for Pet Nutrition is a leading scientific authority on pet nutrition and wellbeing. Mars Petcare has more than 37,000 Associates worldwide. For more information about Mars Petcare’s vision: A BETTER WORLD FOR PETS®, visit www.bettercitiesforpets.com.